"Out of bounds on the left, or a ditch by the hedge will force you further right than you intend to go. As long as you're not in the longer stuff on the right, your second shot is straight forward enough. If you're a big hitter, the green is reachable in two and a birdie is definitely possible. 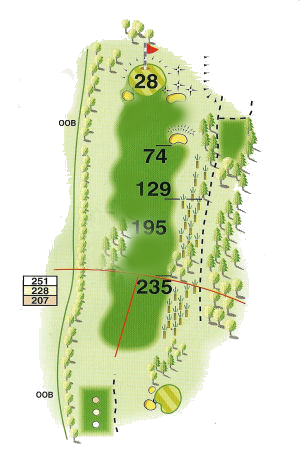 Two deep bunkers guard the right hand approach to this green and the only shot in is straight down the middle." Voicescript have been providing transcription services since 1997. The introduction of digital transcription has enabled us to establish business partnerships with clients throughout the UK, and we now offer our services to English-speaking overseas businesses.